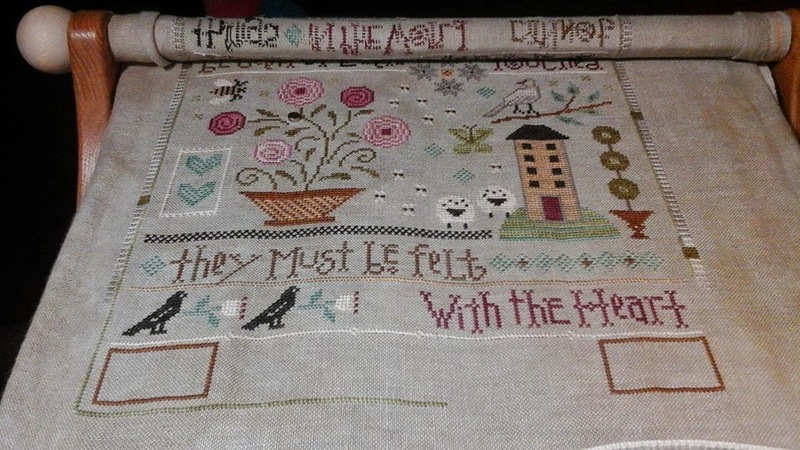 I have two wips to show...I got a lot of stitching done and had a great time. 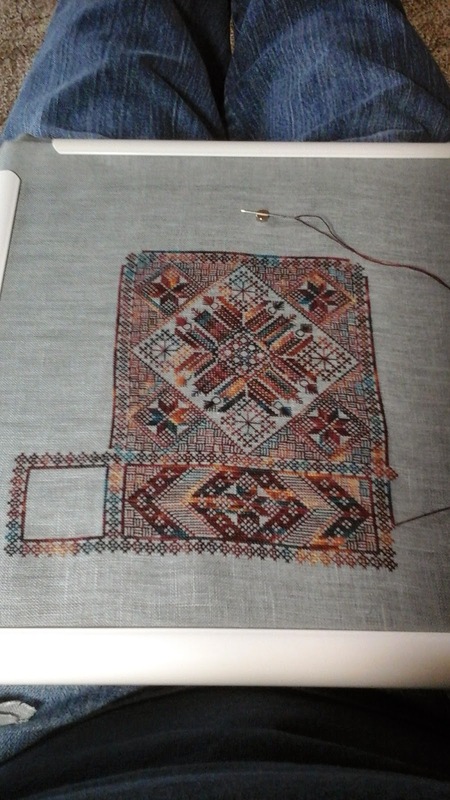 I worked on Persian Lace mostly, then picked up Spring Quakers today. 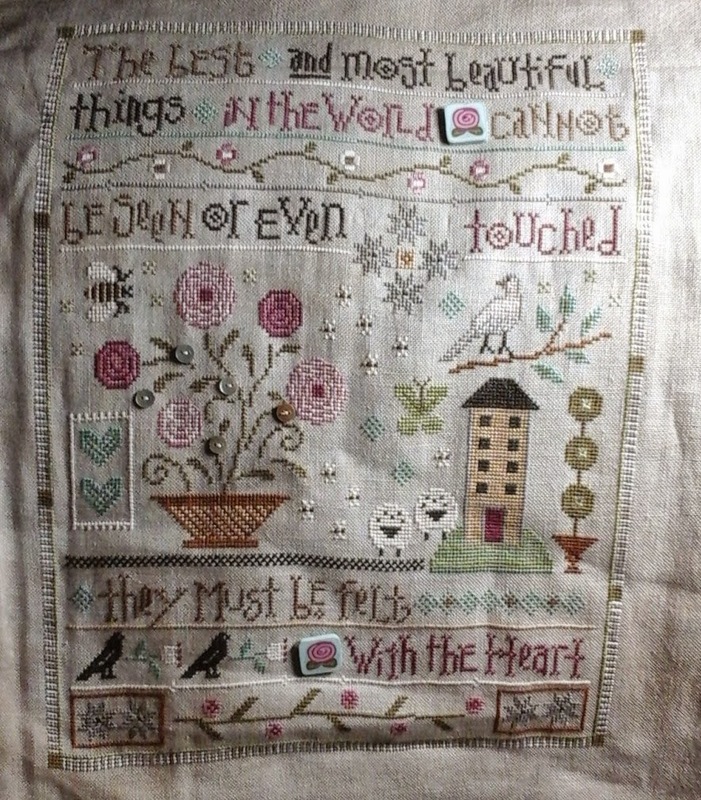 I went to a retreat this weekend plus got to visit House of Stitches. 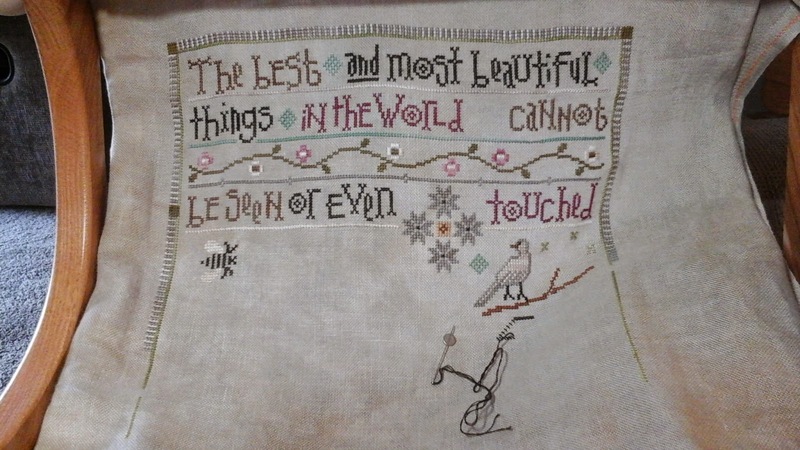 It is a wonderful shop....I only had fibers on my shopping list and they had everything on my list even the multiples. This is my haul. 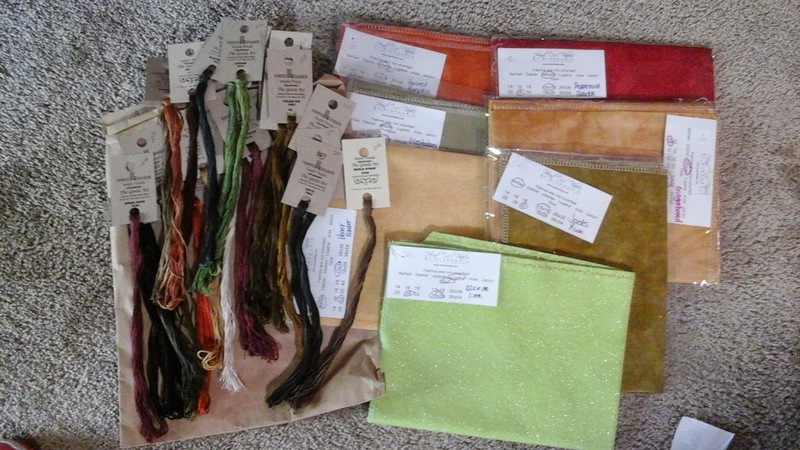 The fabrics I purchased at the retreat from Stephanie of Hand dyed fabrics by Stephanie. 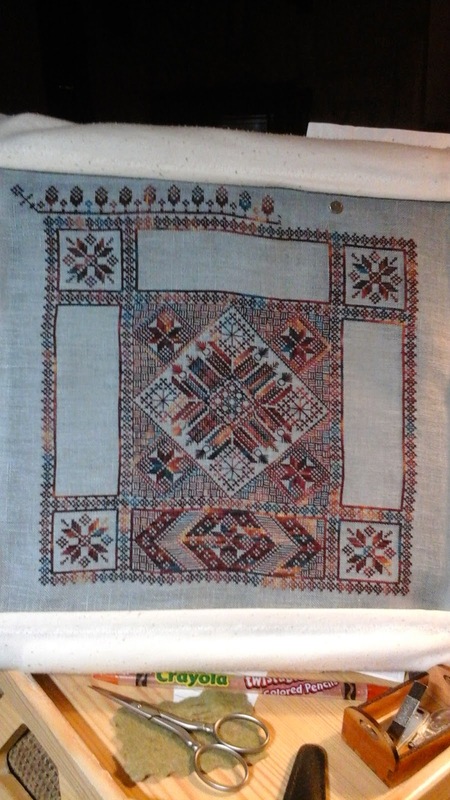 Tada....now on to something else. 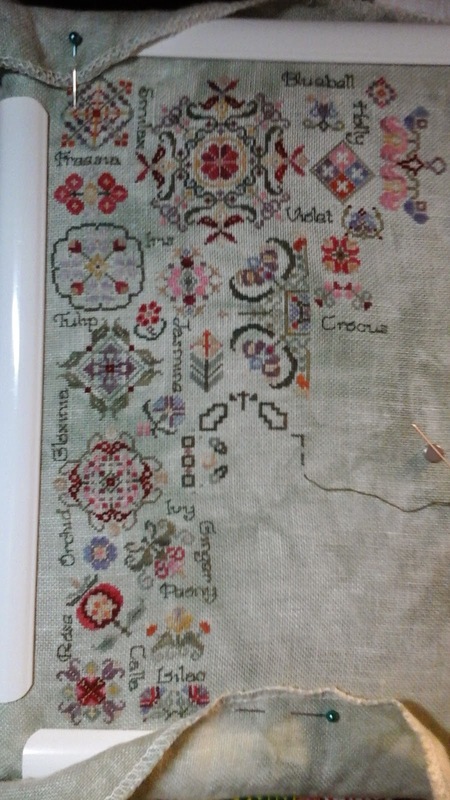 This is my progress as of sometime last night...I did get a bit more stitching done on it since the picture.